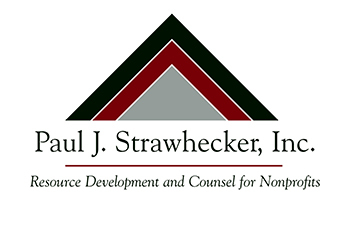 Paul J. Strawhecker, Inc. is pleased to sponsor the 2016 Give & Gain Conference, "Asking Matters," held at the Sheraton Hotel Omaha on September 15. If you're attending the conference, please plan to stop by our booth! The Give & Gain Conference is an annual one-day conference jointly sponsored by the Nebraska Chapter of the Association of Fundraising Professionals and the Nebraska Partnership for Philanthropic Planning. The goal of Give & Gain is to provide affordable, accessible professional development to people working in the field of charitable giving. Attendees include nonprofit gift planning officers, development directors, executive directors, chief development officers, vice presidents, and allied professionals including trust officers and financial planners from organizations across Nebraska and western Iowa.